Everyday that we awaken we are given a blank canvas. Today is one of those days and we have a choice. 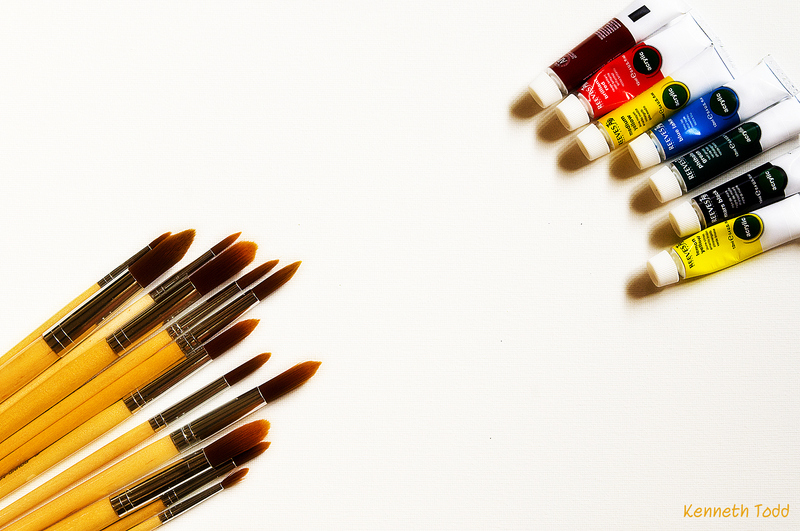 How are we going to paint to our blank canvas today? Are we going to fill it with worry, anxiety, stress, anger, judgement, pity, depression, despair, criticism, ego, rudeness or other negatives? Or we can choose to fill the canvas with positive energy, embracing the day and challenges, love, joy, happiness, gratitude, peace, helping others, smiles, kindness, being non-judgemental, appreciative, hope, trust, creativeness and laughter. We have that choice. So as you go about your day, just think about how your canvas is being painted. It may help when someone seems unhelpful or rude, cuts you off in the traffic, your boss gives you a hard time or you get a large bill in the mail. You are painting your own canvas today and everyday, not them. Fill it with color and beauty. Also remember….. I am giving away a FREE iPod shuffle to a random blog reader on March 31. Why? I have no idea. I am just doing it. It came to me after a recent meditation…:-). I get so many visits, likes and comments from people, which is pretty humbling for me, so I just want to give something back I guess. The best way for me to “control” it, is as follows. Just go “like” my Facebook page (link below), I will then get a random number generator off the internet and then pick the name that corresponds to that number. So good luck. Finally, it is Friday so time to enjoy a little Adele. That is a lovely thought to keep in mind always.. Nicely put! Awesome picture and post. I’m a firm believer of choosing to see the beauty in life and using that when painting your own canvas. Love it! What a wonderful way to start the day. Great post.I’ve always read that we have a choice on how we face and live our day, but this puts a little bit of a different perspective on it. I like the idea of visualizing a canvas picking up paint as the day progresses. Thanks Angeline. Appreciate the comments. wath a great thing to say-write-read-see-think-live ! Thank you for visiting the Chapel today…I am little-known, although I’ve been blogging since 2005. I think your photographs are beautiful and I thank you for sharing them with the world! Beauty surrounds! Thanks for this Kenneth! Well put – a great post! Thanks for making us all think more. Love this post and love Adele. Have a beautiful weekend. I think thjis one is so far my favorite from you Kenneth! Very creative, simple and catchy.